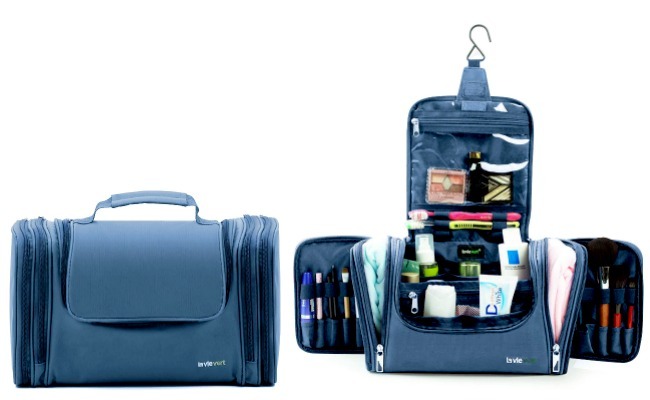 Home » Travel Products » The Best Toiletry Bags for Travel: Which will you choose? Whether you’re globetrotting or planning a short weekend getaway, a hardworking and stylish toiletry bag is essential to keep your beauty products organized and accessible. Never fear! 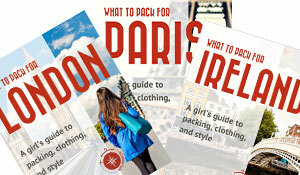 Travel Fashion Girl has got it sorted. 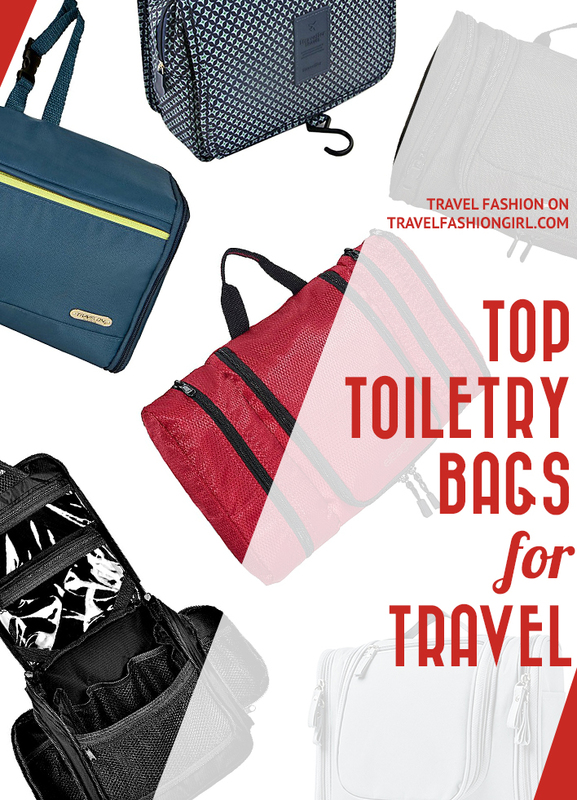 Check out our list of the best toiletry bags for travel below. Which will be the best bag for you? The eBags Pack-it Flat is the best toiletry bag for the “over packers” (we’re all guilty of it, me especially!). The flat toiletry kit is slim and takes up no more room than a pair of jeans. As one of our readers’ favorite toiletry bags, it contains four compartments to keep your essential beauty products organized and in place, saving you the chore of uprooting everything just to find your toothbrush. The bag has the option to expand, giving you an inch of extra storage space, too! Buy it here! 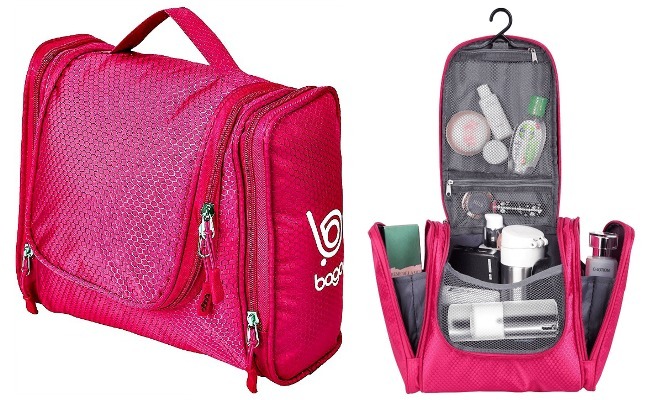 Our readers love this bag so much we put together their top eBags Pack-it Flat Toiletry Bag reviews! 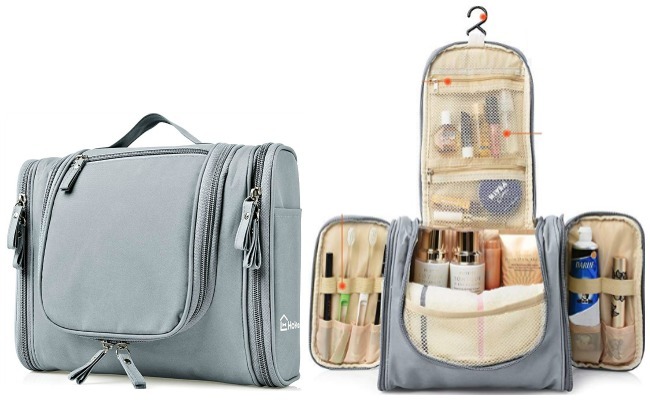 Ranking as one of the best toiletry bags for travel, the Bago hanging toiletry kit is ideal for those wanting a large carrying capacity for a full range of beauty essentials that’s still slim and packable. This toiletry bag features nearly endless pockets and compartments so you can organize every product. Along with two mesh pockets, there are two side pockets for easy access, as well as multiple compartments within the bag to store smaller items. Made with a durable and lightweight Rip-Stop Honeycomb waterproof fabric, this bag will last you year after year of traveling. We love the hot pink color, making it easy to spot among your travel partners and fun to unpack when you unzip your luggage! Buy it here! We think hanging toiletry bags are the best! Find out why! 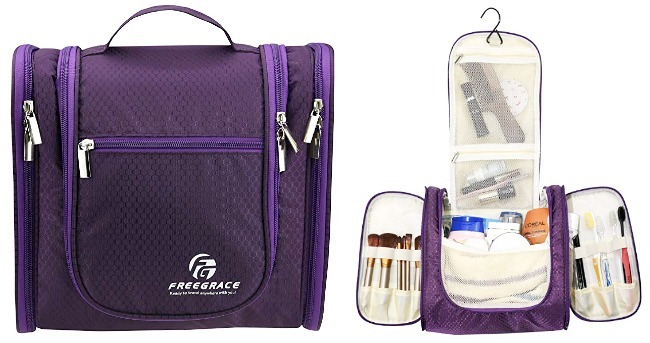 The Freegrace hanging toiletry bag features large storage capabilities in a compact, lightweight body. 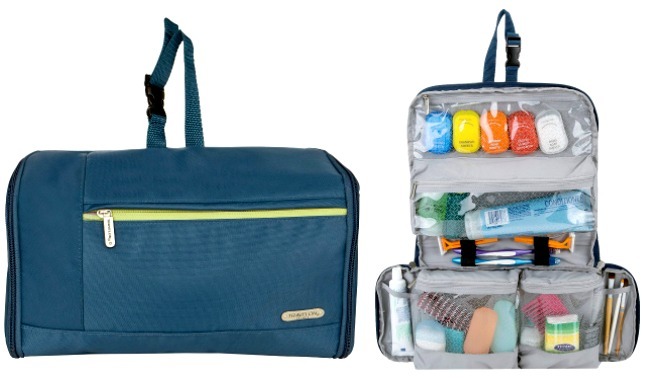 This is the best toiletry bag for the organized traveler, as this bag contains three compartments and 10 pockets so you can find what you’re looking for with ease. This toiletry bag is large enough for extended traveling but it retains its shape when you pack it full so it’s easy to pack in your luggage. Perfect for on-the-go traveling, you can use the hook to hang it and easily access all your beauty essentials. 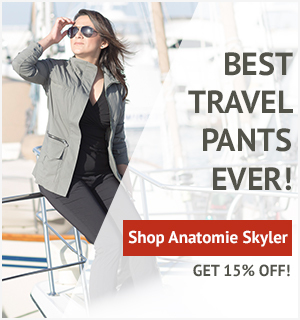 Best of all, it’s made of the most durable waterproof nylon fabric and stitched to be sturdy and dependable so it’ll keep up with you no matter where you travel. Buy it here! 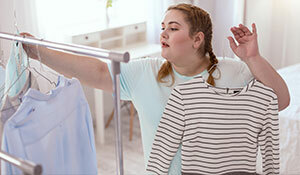 Learn more with this guide on how to create the perfect travel capsule wardrobe! The Lavievert Portable Travel Kit Organizer is the best toiletry bag for the overpacker who wants to easily access all their essentials. The main compartment is large enough to store a towel, while you can tuck away your skincare products in the mesh slip pockets. The outside of the bag features four side-zip storage pockets for quick access to the necessities you frequently reach for. Plus, there’s a see-through mesh pocket, a transparent pocket, and multiple elastic loops so you’ll never lose a single product. 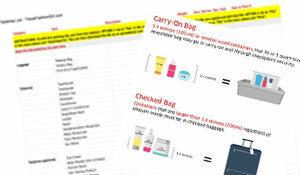 As this isn’t a flat toiletry bag, this isn’t the most compact option for carryon travel, making it more ideal for a checked bag when you’re traveling for a longer time period. Buy it here! Another flat design, the Travelon Flat Out Toiletry Kit is the perfect convertible design, making it one of the best toiletry bags for travel. It can be opened out flat for packing in your suitcase (taking up minimal precious space) or zippered into a compact case with a convenient strap handle. The polyester case features four clear zippered compartments in a variety of different shapes and sizes that give you a viewing of all your organized beauty products, allowing you to easily see where everything is and minimizing rummaging. There’s also a front pocket zip for smaller items and elastic loops to hold cosmetic brushes and slim items. Buy it here! The Hokeeper travel bag is the best toiletry bag for packing small, travel-sized items thanks to its multiple compartments and side pockets. The bag features multiple compartments in various sizes that fit everything from toothbrushes to toothpaste tubes. The main compartment is large enough for full-size products, making it versatile enough for short or long-term travel. The built-in heavy duty hanging hook makes it easy to hang and access on a door or rod, while the carrying handle is convenient to carry. Thanks to its shape, you can pack this fairly flat if you don’t pack too many products, so you can easily use it for carryon travel! Buy it here! 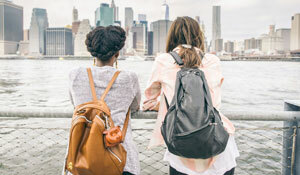 The Itraveller is one of the best toiletry bags for short-term or carryon travel, as it’s lightweight and more compact than the other toiletry bags we’ve shared. 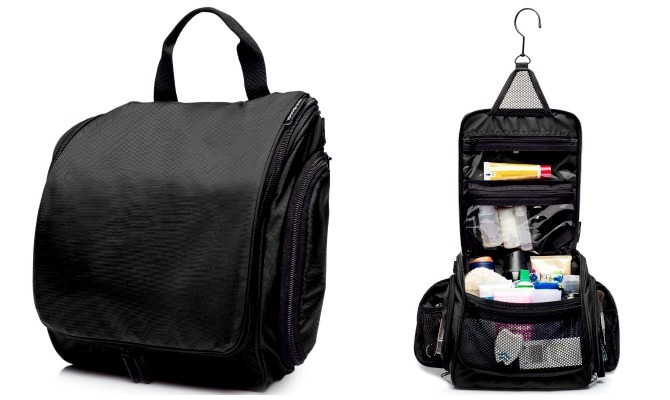 This bag has multiple compartments, including a clear zippered pocket for items like razors or toothbrushes, along with a hook for hanging the bag for easy access to all of your essentials. We love that this has an anti-bacterial inner lining and water-resistant fabric to protect your personal items from moisture or bacteria. The cherry on top is the cute design of this bag! Buy it here! After the TFG Readers’ rave reviews, I finally bought this toiletry bag and love it! Similar to the Muji (mentioned below), it’s lightweight, hangs, and is a nice size for short to medium-length vacations. 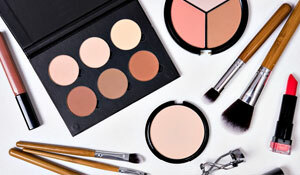 This bag is perfect for on-the-go beauty, ideal for travel size containers. 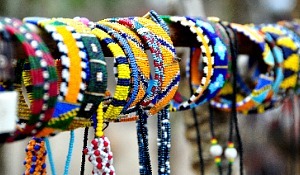 It can easily be hung up, giving easy access to its many pockets and compartments. When it’s time to leave, it conveniently zips back up into a travel case, slotting perfectly into your luggage. 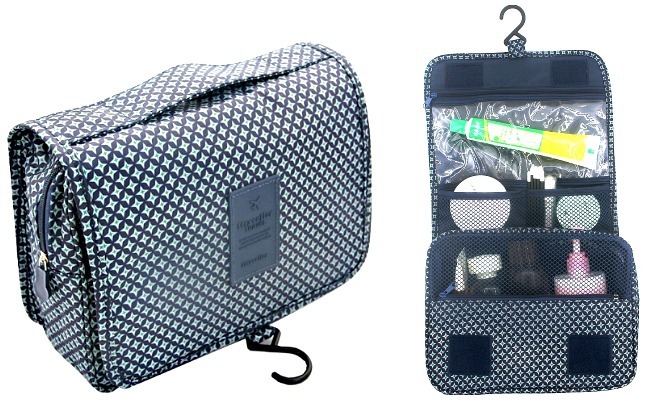 A random bonus is that this bag includes a travel mirror – a small feature but so well done! I traveled without a mirror for so many years and I can actually see my entire face with this one. Bonus! Buy it here! 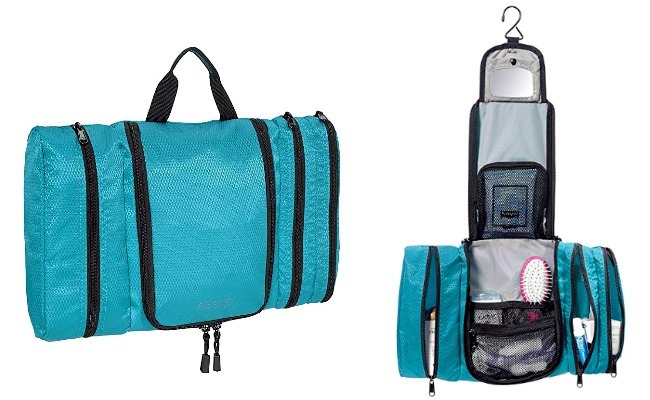 The Neatpack hanging toiletry bag and organizer is one of the best toiletry bags for families, long trips, or for those who don’t like to be too far from all their favorite beauty products. This toiletry organizer features a large main compartment that can hold full-size bottles and has several pockets for smaller items so you can keep everything organized. The large hanging swivel hook keeps your bottles upright to prevent spills and make all of your essentials easily accessible. The bag also includes a detachable, TSA-approved plastic zip pocket to use in your carryon if you’re checking your main bag. Buy it here! Keep your personal items neatly organized and easily accessible with this AmazonBasics hanging toiletry kit. Unlike single-compartment bags–where it takes time to rummage around looking for what you need–this toiletry kit provides multiple storage areas, so you can find what you need fast. The AmazonBasics hanging toiletry kit is a great choice when packing for business trips, summer vacations, or out-of-town family holidays–or for dorm rooms or simply heading to the gym. The slim toiletry kit offers ample space like with a large-size dopp kit, yet it folds flat, taking up about the same amount of space as a pair of jeans, which is perfect for space-saving placement in any suitcase or travel bag. Buy it here! 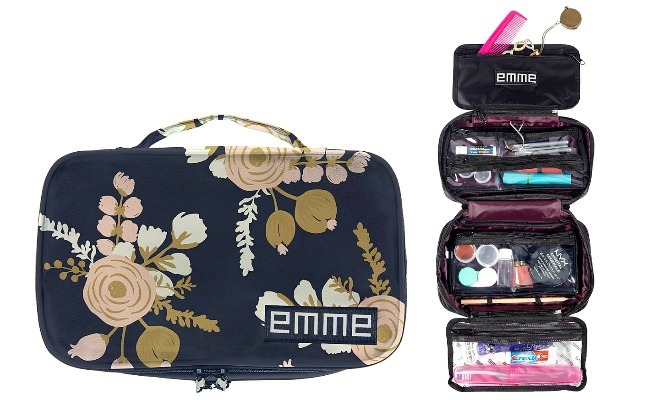 This Emme cosmetic case is designed to keep all of your toiletries together for vacations of all lengths. Perfect for organizing your essentials, the Emme travel kit bag features a convenient carrying handle and a hook for hanging, along with removable pouches and a selection of clear interior zipper pockets to keep everything in place. 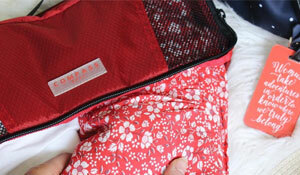 The detailed main compartment is expandable into three panels, while the zip-out design allows the liquid pouch to be re-attached. Plus, this bag is designed to be lightweight, making it easier for everyday use. We love that this case is so compact and simple in its design, lending to its classic look. It has all of the essentials without any unnecessary details. Buy it here! Tired of overpacking? Read this helpful guide on how to stop overpacking! Start by downloading our Ultimate Packing Guide for Toiletries. It’s FREE! 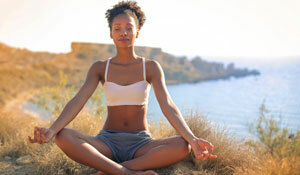 You can click here or click the image above to open the editable file. 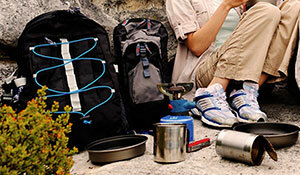 The list features unique categories to help you pack for your trip efficiently. It includes all the items listed in various categories and has spaces where you can fill in your own information. 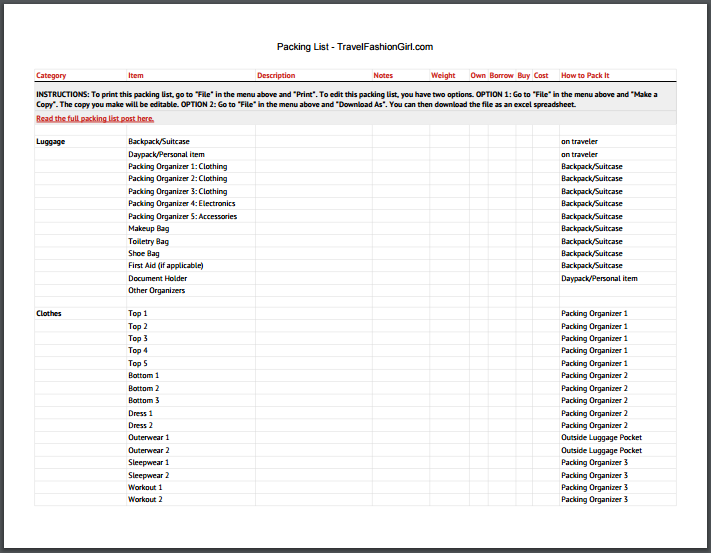 Read this post for a printable packing list that includes clothes, shoes, and more! 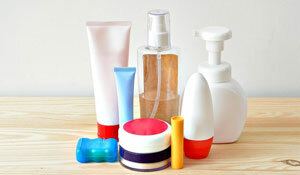 What do you think is the best toiletry bag? Please share in the comments! 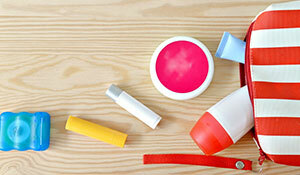 We hope you enjoyed this post on some of the best toiletry bag options for travel. Please share it with your friends on Facebook, Twitter, and Pinterest. Thanks for reading! The best ever were Galante bags. They’d bi-or triple fold; have 7 see-through zip compartments and a big enough hanger for a towel bar or even shower rod. They offered several attractive print fabrics for the outside. And they last many years. Unfortunately I haven’t been able to reach them by phone or email, so I don’t know if they’re still manufacturing. I’m happy to submit a picture if someone wants to create more! Hi Charlotte, thank you for sharing your recommendation of Galante bags with us, that is such a shame if they have stopped manufacturing them 🙁 Happy travels! I do not use a toiletry bag. I use as many 1qt ziplock bags as I need. One for makeup, one for shower stuff, one for tooth care, one for bandaids, one for hair stuff, etc. I label each with a permanent marker and they are see-through, never very full, and really easy to tuck into tiny spaces in your carry-on bag. 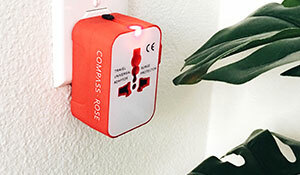 You can pull them out at a hotel as you need them. I have never gone back to toiletry bags because they are so bulky! Is there a bag that has a removable TSA regulation pouch? I hate having two bags, one clear for TSA and one with everything else. I’d love to find one that has a snap in or zip in TSA pouch. Anything out there? 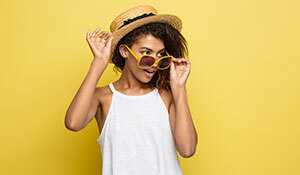 Hi Michelle, I am afraid that I do not have any suggestions to share with you 🙁 To get you some ideas, I have gone ahead and scheduled your question on TFG’s FB page, our readers have great recommendations to share, so keep an eye out for their replies from Sunday: https://www.facebook.com/TravelFashionGirl/ Hope this helps! Hi I have see through zip up “sandwich bag” style bags for my toiletries as, if you are going carry on these are the weightiest items and I put them into my handbag which can be taken out when getting inspected by customs as they can see through to make sure items are only 100mls each. I’m using roadeavour’s travel toiletry kit! The best thing i had! Hi! Thanks for the article – always good stuff here. One things perplexes me though – I find that any toiletry bag on the market, even on this list – has the “convenience” of a hook for hanging. But, pretty much most of the time I travel there is no where appropriate to hang a bag, and if there is, everything in the bag just pops out due to the weight of the items in the bag as it loses it’s shape. Quite frustrating. I have considered alternative bags, such as fishing tackle bags or electronics accessories, but I wanted to know if you can think other bags that might avoid this problem? She said that hanging a bag is inconvenient but you send her to a sight for hanging toiletry bags! I too find this problem. There is no place to hang one, or if there is the place is far from convenient. Also everything falls out of the open compartment. Very frustrated. Hi, I’ve had the same problem sometimes, so have started using an old fashioned shower curtain hook as an alternate or additional way to secure the hanging bags. It does keep it from falling over too if you attach it to tha bag’d handle. I need something big enough to hold big bottles of shampoo conditioner and lotion any recommendations? Hi Rhonda, I’d suggest measuring your bottles then checking the dimensions of a toiletry bag to ensure you can find one that fits your items. so…. nice bags but what do you do with your liquids as you go through TSA? They must be separated into a quart size bag, correct? I now use 2 separate, small Sea to Summit bags. They are clear plastic on one side so I can see everything. They are opaque nylon on the other side. To keep a neat appearance in my hotel bathroom, I turn the bag over on the bathroom counter and have the fabric side up to hide contents. I don’t want any more clutter in a hotel room or bathroom than is already necessary. One bag is dry toiletries, the other is for liquid. When I go through TSA, I take the liquid one out for them to look at if asked. They are two different colors. This is really working for me. Ditto! And it works very well! Love my Tumi Monaco Travel Kit, it’s a hanging bag with four sections, three with transparent faces so you can see what’s in that section, and one that’s a smaller pouch that’s solid and can be zipped of and used separately. Two of the pouches are a single space, one pouch has dividers, they all zip close. I’ve had product seep and it hasn’t made it beyond the pouch it’s stored in. Spills clean up easily. Oh great suggestion Lisa! Glad you’ve found something that works so well for you! Happy travels! I love my Rick Steves toiletry bag. It is similar to the ebags flat bag, but it was a separate hanging bag that holds 3 travel size toiletry items (shampoo, conditioner, face wash, in my case), and has two loops (razor and pumice stick). I can hang that in the shower for shower use even when there aren’t any shelves there. My husband has the same bag (in black instead of my yellow) and he also loves it. Nice article on a subject that doesn’t much coverage. Personally, I love my Christian Dior waterproof toiletry bag. it has lots of pockets, is perfect for my mini perfumes and cosmetics and is slim and classically beautiful. They don’t make them any more but you can find them just by Googling “christian dior waterproof toiletry bag”. 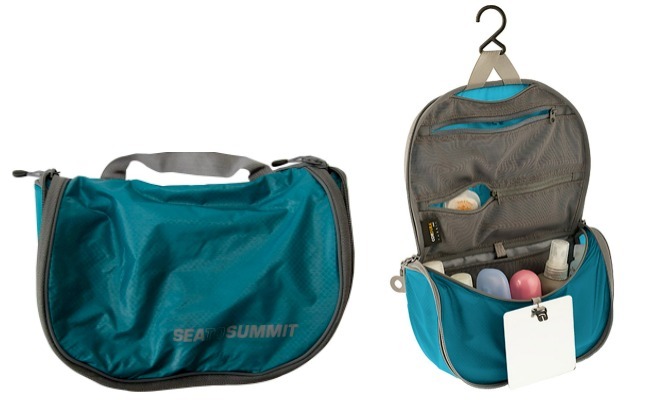 Sea to Summit makes a super light-weight hanging toiletry kit. Thanks for recommending! I’m about to purchase this one based on reviews of some of these others listed and it seems actually small enough but still has capacity. I’ve been using my L.L. Bean toiletry bag since I was 18 and swear by it. Europe, Asia and America it has held up and was a convenient design. Definitely a traveler’s favorite 🙂 Thanks for reading and commenting!